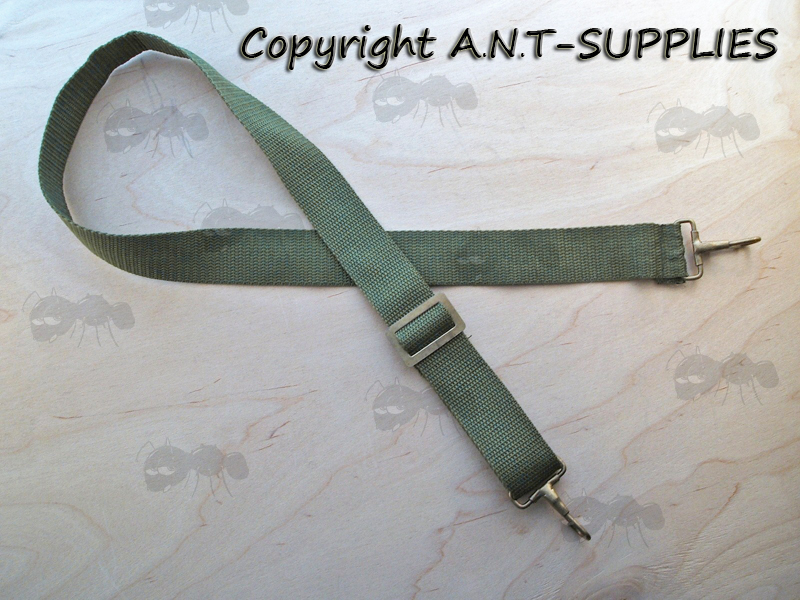 1¼ inch / 3cm wide sling. Adjusts from 20 to 38 inches (51 to 97cm long). Brass adjuster and spring clips. Weighs approx ~ 43 grams. 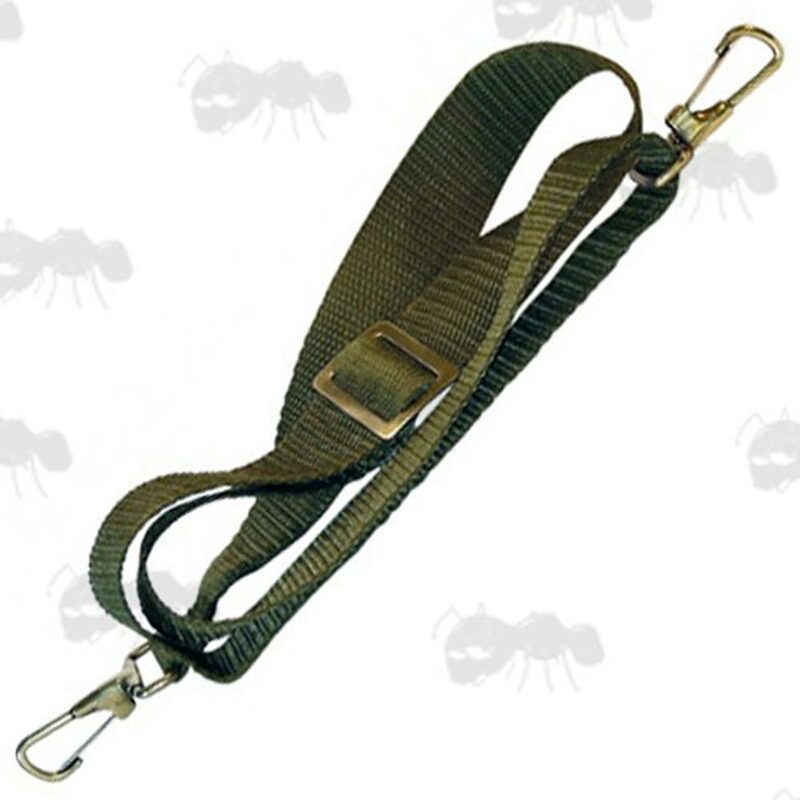 A strong and practical sling to fit all rifles or shotguns with standard fittings. Made from quality nylon webbing. Also available ~ Gun sling snap clips.